Pasadena, CA – Persistent computer resets and “amnesia” events on NASA’s Mars Exploration rover Opportunity that have occurred after reformatting the robot’s flash memory have prompted a shift to a working mode that avoids use of the flash data-storage system. The most recent reformatting of Opportunity’s flash memory was last week. Following that, performance of the flash memory remained intermittent, and difficulty in placing data into the memory led to computer resets during the weekend. Flash memory retains information even when power is shut off during the rover’s overnight power-conserving “sleep” time. In the no-flash mode, the rover can continue normal operations of science observations and driving, though it cannot store data during the overnight sleep. Data gathered each Martian day is stored in volatile memory, which on Opportunity is random-access memory, or RAM. That data stored in volatile memory is relayed Earthward before sleep because it is lost when power goes off. The team is developing a set of commands to restore usability of the flash memory through an overhaul more extensive than the reformatting that has been used so far. The incidents of Opportunity’s flash memory not accepting data for storage have occurred in only one of the seven banks of flash microchip circuitry on board. The team plans to send commands for the rover to avoid that entire bank. Opportunity is examining outcrops on the western rim of Endeavour Crater while traversing southward toward “Marathon Valley,” where clay minerals have been detected in observations by NASA’s Mars Reconnaissance Orbiter. NASA’s Mars Exploration Rover Project landed twin rovers Spirit and Opportunity on Mars in early 2004 to begin missions planned to last only three months. Both rovers far exceeded those original plans. Spirit worked for six years, and Opportunity is still active. Findings about ancient wet environments on Mars have come from both rovers. The project is one element of NASA’s ongoing and future Mars missions preparing for a human mission to the planet in the 2030s. 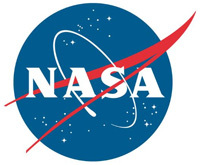 JPL, a division of the California Institute of Technology, manages the project for NASA’s Science Mission Directorate in Washington. California Institute of Technology in Pasadena, Endeavour Crater, Flash Memory, Guy Webster, Marathon Valley, Mars, NASA, NASA's Jet Propulsion Laboratory, NASA's Mars Exploration Rover Opportunity, NASA's Mars Reconnaissance Orbiter, NASA's Science Mission Directorate, National Aeronautics and Space Administration, Pasadena CA, washington d.c.